The Carrollton Kiwanis Club is fifty years old this month. It was the seventieth club in the Georgia District, organized by the Newnan Club. There were twenty-six charter members, and tonight we honor the remaining two of that select group: Ellis Merrell and Leroy Templeman. In the fifty years the Carrollton Club has had within its ranks: one District Governor, Troy Holcombe, eleven Lt. Governors, fifty-two presidents and five Hixon fellows, and Laurel Hoskins, wife of Floyd Hoskins, who is the "Betsy Ross" who for years has sewn on the patches on the club banners. The club's history is replete with those who have served. Reviewing the list of presidents and Boards of Directors, it is a Who's Who of Carrollton and Carroll County, representing professional, academic, and business leaders, throughout the fifty years. To name only a few: Ellis Merrell, President of Merrell and Associates, Dr. Tom Reeves, retired surgeon, Jack Threadgill, former county Tax Commissioner, Dewey Smith, retired Superior Court Judge, prominent attorneys at law, educators - active and retired from West Georgia College, now State University of West Georgia, and engineers from major industries such as Southwire and Sony Music. Of special note, the Speaker of the United States House of Representatives, the Honorable Newt Gingrich, was inducted into the club in 1979, by Troy Holcombe, and is now a member of the Marietta Club. During the early years of the club, there was not the proliferation of clubs as is today. Thus interclubs involved distances. The Carrollton Club bridged the distance gap by aircraft. Lynn Holmes, club member, had his own plane, which served in taking interclubs to Griffin, Savannah, LaGrange and Macon. Interclubs by aircraft may be without precedent in the Georgia District even today. Throughout the history of the club was a close working relationship with West Georgia College, often co-sponsoring projects for the benefit of students as is noted in the Kiwanis projects. Projects of the Club reflect on the goals established by the Charter Board of Directors and were passed down to succeeding presidents and boards. The focus was on youth in Carrollton and Carroll County, involving an array of activities, and the care of needy families during the Holiday season. Although the accent was on youth, the goals of the club established patterns of community involvement, program speakers on an array of topics on international affairs, patriotism, health and safety, new technology, and culture. The Carrollton newspapers were most receptive to publishing comments of speakers, thus benefiting the reading public. Over the fifty years the major projects dealt with the spirit of the times and issues, and were influenced partially by local, state and national events. The fund raising projects provided the means to helping youth of the area, and community needs. Highlights of the major projects provide a theme of continuity with emphasis on the leaders of the projects. The first fund raising project of the new club was a soft ball game with the Newnan Club, although rained out, the club netted $300.00. Other immediate projects involved "Keeping Georgia Green" and the erecting of signs, "Keep Georgia Forests Green." The Pyramid Pig Project began in 1949. Troy Holcombe, a new club member, was in charge. Duroc Jersey gilts were given to boys and girls in the 4-H and FFA. Each person had to return to the club two of the first litters which were given to new 4-H members who wanted to raise animals. This project expanded to include calves, and was active for three years. The club goals were to reach youngsters in the rural area of Carroll County. One of the more exciting projects in 1949 was the Carroll County Unorganized Cheerful Givers designed to raise funds during the Christmas seasons. The first Season the Club collected $1,600.00 used for helping needy families and youth. Roy Templeman, later president in 1959, organized the project. To the community the Kiwanis did much to alleviate disappointments during the Christmas Season. The UCG as it was known continued for four years. In 1949 the club co-sponsored the Shakespeare drama "Hamlet" a production of the well known Barter Theatre Group. Buses brought students from the schools of the county to view great performers. Three Shakespeare dramas were cosponsored and were major successes according to the local press. There was a need for a lighted community softball field. A member provided the lighting fixtures, and Georgia Power, the labor, the Kiwanis Club provided the funds to cover the costs. The "Kiwanis Field" now 49 years old, is used by league teams, religious groups, and other organizations. The club seemed to create a sort of renaissance in awakening services to the community. The Club joined with other organizations in reinvigorating scouting, helping to build a Scout College Day Camp, also outfitting twelve scouts who could not buy their uniforms. The Club was responsive to West Georgia College in many ways though co-sponsorship as with the Shakespearean plays. The Club sold tickets for the college football team, also concessions. Dr. I.S. Ingram, President of the College, spoke to the club on numerous occasions. In 1953, the Club donated $100.00 to the Ingram Student Aid Fund, and urged other civic organizations to do so. This was the beginning of Student Aid. The Club held its first Field Day Festival at West Georgia College. The Festival was both literary and athletic. There were contests in art, spelling, speaking, and dancing, while the athletic events involved different races. More than 1,000 attended. These festivals became an annual event. In later years, it was recognized as the Kiwanis Relays held in the spring. Mother Nature directed the role of the Kiwanis Club into agriculture. As the boll weevil caused disaster to raising cotton, there was a need for a substitute crop. Dr. Tom Reeve, president in 1953, brought prominent speakers on agriculture to the noon meeting. Pimento peppers became the substitute crop. The Kiwanis gave their support through the Pimento Queen Festival. This project remained an annual event for three years. In 1953 the first Circle K was chartered at West Georgia College. During the 1950s there was a concern as to direction of the U.S. government, a drift toward socialism. The Secretary of the Carrollton Housing Authority spoke to the club, saying that "the building of public housing would be a stop toward socialism but believed that it would not take place in Carrollton." The club sponsored a German Exchange student to the Carrollton High School. She often spoke to the club on changing patterns in her native Germany. The club was proud of her achievements. With the availability of the Salk vaccine, member of the Carrollton Club assisted health authorities in going door to door talking to people and alloying their fears of the vaccine. In February 1955, the club raised funds for a mobile X-ray unit for the Carrollton Health Center. Kiwanis International announced the creation of a Farm/City Week. The Carrollton Club had been involved with the rural areas of the county since it was formed. The Dean of Agriculture of the University of Georgia, spoke to the club, and urged the club to work with and help to educate the "dirt farmers" in Carroll County. In 1956-57 finances of the club reached a new low. The club owed Hotel Carrollton $600.00, and there was talk of closing the club. Any thought of closing was resisted by the charter members, who now organized the first Horse Show held at the Carrollton High school athletic field. With advertisement, a large number attended and the club raised $1600.00, thus paid off its debt. The Horse Show was an annual event for three years. This project was during the presidency of Ellis Merrell. Edith Foster spoke to the club on numerous occasions telling jokes and stories of her experiences in her Library on Wheels. She was a dedicated supporter of Kiwanis, and in 1989 was accepted as the first woman Honorary Member of Kiwanis. In 1957, Dr. I.S. Ingram, President of West Georgia College, was accepted as the first Honorary Kiwanian. Although a Rotarian, he supported the co-sponsoring of projects with the Club. Adult Education became another project, under the chairmanship of member Colus Johnson. His successful efforts became well known nationally. In 1958 the slate of officers was: president, Floyd Wirsing, Professor of Chemistry at West Georgia College, and the Board of Directors were: Pete Cofer, Fred Hutchins, Harold Borders, and Russell Hughes - all to be honored in their professions. Wirsing died years later, and the Wirsing Scholarship in Science is awarded annually to an outstanding student in science at West Georgia College. Dr. Glen Reed, District Governor of Georgia, again warned the district that the government was drifting toward socialism. This theme was to be echoed by other speakers. U.S. Congressman John J. Flynt warned that American democracy is being eroded by the Little Rock racial issue and the Soviet Sputnik. It is interesting to note the Kiwanis bulletins and their patriotic theme: Keep America Strong: Protect Our Freedom. Patriotism. Sputnik had caused concern as to the nation's security. The Club became a forum for the building of a library on the West Georgia Campus. President Ingram spoke to the club on the growing student numbers; several member of the club made substantial donations for the library. Susan Hayward, of Hollywood Fame and as a local resident, attended the club several times, also gave support for the library. In 1958, Marvin Griffin, Governor of Georgia, granted $325,000 for the construction of the building. In 1963 the club sponsored its own Midget Football team, of which Rusty Lambert was a member of that team. Rusty became president in 1985. Frank Fidler, president in 1963, established Radio Day, in cooperation with station WLBB. This successful project raised funds by selling "on-air" bulletins and continued for several years. Bob Townley was president of the Kiwanis Circle K at the college. The excellent bulletins were prepared by Hiram Gray, associate editor of the local paper. At the end of Frank's term as president, the club honored him with a Frank Fidler Day. In the mid 1960s the club began to take on new goals. Troy Holcombe, president in 1968, stressed: "numbers of members and the strength of members is worth little without personal involvement," a theme that would carry through the decade. Later Troy would serve at Lt. Governor and brought honors to the club when he was elected Kiwanis District Governor. Outstanding presidents in the 1960s were: Fred Hutchins, Frank Fidler, Jack Threadgill, Harold Borders, Troy Holcombe, and Dewey Smith. Lee Laster's presidency organized Key clubs in the high schools, in Bowdon, Central, Carrollton, and Villa Rica, and was a first in providing programs for these clubs on Drug prevention - the year was 1972-1973. The club also won first place in the District Interclub contest. It was a period when Bob Townley had organized his Wild West Show, with a display of weapons of outlaws and sheriffs of the Old West. His show was based on careful documentation, debunking the myths surrounding outlaws. His collection of guns, when toting them into Kiwanis Clubs, sometimes caused alarm. Townley had developed a conference of midge football teams that would be the beginning of the Kiwanis Football Bowl. Dr. James Boyd, President of West Georgia College, later Vice Chairman of the Board of Regents, was named Honorary Kiwanian. Lamar Plunkett, former State Senator and member of the Board of Regents of the University System, was named Honorary Member of Kiwanis. During David Abercrombie's presidency, a new major fund raising project was -- the Kiwanis Football Bowl. The Club, in cooperation with Carrollton Parks and Recreation Department, scheduled football teams from the immediate West Georgia area, ages 8, 10 and 12 years. The Football Bowl has become the major fund raiser of the club, and 1997 will be Kiwanis Bowl XXII. A note of interest, in 1979, John Tanner - with some reservations recommended Fred Richards, a psychologist to be a member. Over the years Fred has been unanimously named the Club Herald. All members and visitors have experienced his acerbic wit and humor. During 1980, the club drifted and seemed to have lost direction. Jim Collins became president in 1981, and appointed a committee to find solutions to rejuvenate the club. Joe Bell, Russell Hughes and Rusty Lambert were to direct the club toward Youth: football, relays, and handicapped youngsters. This focus became a permanent feature of all future clubs. The Collins presidency and the next four presidencies were blessed by an outstanding Secretary, Leroy Childs. All presidents developed a personal friendship with Leroy and it reflected on the outstanding and distinction patches on the Club banners. Leroy's presidency ended with his death in June, 1986. Lewis Grizzard spoke to the club in 1981. His popularity drew the largest crowd ever assembled at Sunset Hills Country Club. All Club members attended, and the walls were lined and anterooms were filled - a highlight of Collins' presidency. While attending a District meeting in Savannah in 1981, Jim Collins and Rusty Lambert learned of a club that was selling Vidalia onions. An investigation by Rusty determined that it would be a good fund raising project. The Vidalia Onion Project now became the second major fund raiser, and would span 1982-1995. It is estimated that, the Carrollton Club sold 500,000 lbs. of onions, and earned approximately $97,000. The Jim Rowe presidency of 1985 was noted for prominent speakers, also strengthening the Football Bowl and Vidalia Onion Project. Frank Jones assumed the presidency and in semi-military style on organization, now began a new adventure in building new clubs. First was the Fairfield Plantation Club, a Bowdon, and Franklin attempts failed, but in his past presidency he would become head of KIAR, and would organize the Haralson County, West Metro-Douglas County, and the Carrollton Golden Key clubs. Frank was active in some unusual projects: The Chicken Coop project for a small boy near Tallapoosa. The Sunshine organization recommended the boy to the club. He wanted a chicken coop with live chickens. This was a major Saturday event, building the coop, in a cloudburst, with Mark Miller taking pictures of the entire event, only later to discover that he had failed to put film in his camera. Another project was Operation Hut. This project became a Division project, with teams from each club working on Saturdays restoring a trailer for a cripple who was living in a tool shed. This project was presented to the District by Floyd Hoskins in 1989 and won second place in major projects. Floyd Hoskins' presidency marked a departure in the club. The U.S. Supreme Court had ruled that women could not be barred from service clubs. He was to "open the door" with the approval of the club, naming Edith Foster as Honorary Kiwanian, followed by Patricia Stokes, Terri Minish, Ann McClendon, and Janet Hannah. Janet would be the first woman president in 1995. Club members discovered that women members made a positive contribution in all of the projects. The Kiwanis club had a membership of 158 under Hoskins' presidency. Succeeding Hoskins' were Bob Uglum, Jimmy Stokes, Bill Schaniel, Milt Moss, and Janet Hannah - all who made major contributions in several projects - equipping play grounds with swings, slides, etc.,; shelters for abused women, providing aid to the Department of Family and Children Services, and Nursing Home Beauty Pageants. During these regimes, Fred Richards, the Club Herald, emceed the Kiwanis Annual Nursing Home Beauty pageants. Harris Johnson, immediate past president, has assumed the role of finding a new fund raise taking the place of the Vidalia Onion Project, with a possibility of an Antique Auto Show. The fifty years of the Carrollton Kiwanis Club has created a permanent niche in the annals of Carrollton and Carroll County. The many projects focused on the development of young people. Many have grown from high school Key Clubs to Circle K to members of the Carrollton Kiwanis Club. This history reflects on the determination of the Charter members - making a better place for young people and the community. That determination has been fulfilled many times during the fifty years. In this writing there are probably mistakes, errors and omissions. All are unintentional. My goal has been to present the history as it unfolded over these fifty years. During the past ten years, our club experienced notable growth and strengthened impact. For a time in the 1990's, club membership decreased. Some civic-minded Carrolltonians joined Golden K; we purged inactive members from the official roster; we neglected concerted promotion of membership growth. Then, with such persistent leaders as Tim Warren, Roy Bogue, and Richard Dixon, our club has reversed that trend and recruited many valuable new members of the community. 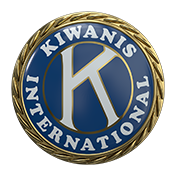 Of the 175 Kiwanis clubs in Georgia, approximately 10% have over 100 members and our club is now a part of that esteemed minority. The club's board of directors authorized full funding for club presidents to participate in the international conventions. Two of the club presidents, Robert Graf and Jim Russell, have gone on to serve as Lieutenant Governors for Division 20, and '05 president, Tim Martin will serve in this capacity in 2008. Dan Lewis, '03 president, has served three terms as a District Chair. Thanks to the efforts of Sam Lenaeus and Neil Weathington, our club's weekly newsletter, the Kronicle, and yearly scrapbooks have won District recognition and the club has earned the "Distinguished Club" status on several occasions. In the past decade, we have made an effort to get to know each other better. Early in the decade, Kronicles featured a description of an anonymous member, revealed at the weekly meeting. Later, the "Kiwanian of the Week" highlighted individual members. The Hixson Awards became a separate annual event to honor extraordinary contributions. By-products of Roy Bogue's membership initiative were frequent membership directory updates and very complete birthday and anniversary announcements. Under the technical expertise of Matthew Clay, we inaugurated a club website (acknowledged as the best in Georgia for a club our size) and weekly e-bulletins. Interclub chairs aimed to take groups to every other club in the Division each year. Long-term secretary Harris Johnson and longer serving treasurer Jim Carter provided continuity. Voluntary participation reached 90% of membership for our principal fund-raiser, the fall youth football bowl. Service to the community is what Kiwanis is all about. Providing this service takes money and our club found new ways to raise needed funds. Grant funding was received from the Carroll EMC Foundation for assistance with the football bowl and the annual art and talent competition. A raffle was added to the promotion of the football tournament to supplement income from admissions, refreshment sales, and program advertisements. We also sold refreshments at spring track meets and the 4th of July fireworks. The sale of Christmas cards and ornaments added to revenues. During the 2005-2006 Kiwanis year, we started an in-house raffle at weekly meetings so that funds raised from the public would not be needed for club administration. We put such additional funds to good use. The Carrollton Kiwanis Club has always had a special focus for helping young people. One very important new project in this regard was celebrating the birthday of Dr. Seuss. Initiated in 2003, Jack Bennett with a handful of Kiwanians, volunteered to read stories to at-risk children at Carrollton Elementary School. After the reading, the club members presented each student with a personally labeled gift book, and for most of the children, it was the first book they ever owned. Thanks to the follow-up of Allan Trapp, the project has since expanded to every elementary school in the county. With the completion of the Carrollton Cultural Arts Center, the Music Talent Showcase also expanded. Thanks to the direction of Scott McBride and Dan Lewis, the showcase now features both a music and visual arts competition with impressive scholarships for awards. This template for success has been adopted by many clubs in the District and it is one of the reasons why Carrollton has been selected as the host of the State competition since 2006. With help from Joe Palladino, our club sponsored a new Key Club-at Oak Mountain Academy. The club also supported the Live Oaks Shelter, a home for at-risk boys which fellow Kiwanian and Carroll County Sheriff Terry Langley and his wife began. At the end of the decade, the club pledged a $25,000 donation over 5 years toward the completion of the University of West Georgia stadium. The Kiwanis Club of Carrollton continues to support numerous on-going projects as well as responds to community needs. Jack Whitman and Jim Collins continue to lead volunteers each spring for the annual senior citizen cook-out and club herald, Fred Richards (who also doubled as Santa each year for the Christmas program), continues to emcee the assisted living pageants. We sponsored the Carrollton Aktion Club - the first Kiwanis club in the Southeast for mentally disabled adults. The club also purchased automatic external defibrillators for Carrollton and Central High Schools. We contributed toward the purchase of a synthetic milk producing machine known as the "soy cow" for children in Peru. The club has also made significant contributions to the American Heart Association, the American Cancer Society, the Boy Scouts, the Girl Scouts, the Auditory Education Center, and the Literacy Task Force. Our club has the best "continuing education" system going - our weekly programs. We began the decade in the old Sunset Hills Country Clubhouse. When that building was razed and was being rebuilt, we met in the University of West Georgia Food Services Building. Among the memorable programs (out of 520): cartoonist David Boyd; newscaster Monica Kaufman Pierson; Coach Vince Dooley; Tim Dugan on hiking the Appalachian Trail; such elected officials of Georgia as Cathy Cox, Phil Gingrey, Tommy Irvin, and Michael Thurmond; Ordinary Heroes author Mac Martin; the Sharp Creek Singers; former NFL stars Tommy Nobis and Richard Todd; Kiwanis Bowl kick-off with the UWG Marching Band; Stu Yahm on his career in the recording business; former U.S. House Speaker (and former club member) Newt Gingrich; and the anticipation of hearing former Georgia house representative, Jack West. Like the first 60 years, our club's success relies upon such drivers as leadership, programs, communication, community support, recruitment, committed volunteerism, and a focus on serving the children of our community and the world. Our contributions to the community are well documented and will serve as an inspiration to guide our organization for many decades to come.